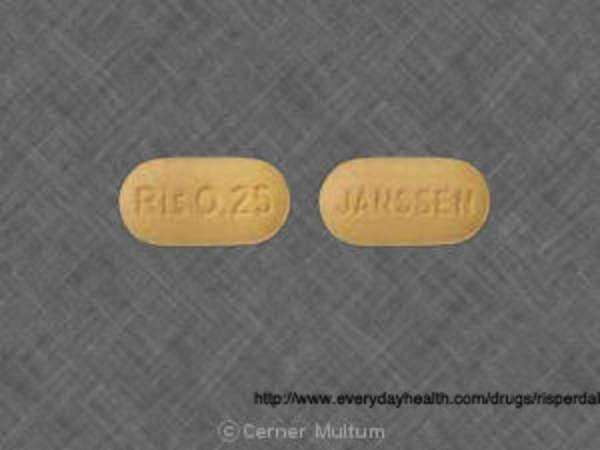 Risperdal is a drug that is prescribed to schizophrenia patients to help them deal with the disorder. As an anti-psychotic drug, it is also prescribed to those that are bipolar or have issues with irritability as a result of autism. The primary danger from this medication deals with medical malpractice or possible errors at the pharmacy. In a number of cases, the Food and Drug Administration has noted a similarity with another medication, a dopamine prescribed to treat restlessness from Parkinson’s and other symptoms. When Risperdal is prescribed incorrectly, the patient stands several dangers, including unpredictable side effects, unaccounted interactions with other medications taken by the patient and the failure to anticipate a number of risk factors that would have otherwise been evaluated if the drug were being prescribed properly for its intended purpose. This confusion has led to the hospitalization of many, with families paying the cost of a doctor or pharmacist’s error. How was Risperdal confused with other drugs? The drug accidentally prescribed instead of Risperdal is Requip, which is a dopamine that is prescribed to those with restless leg syndrome or Parkinson’s disease. Those that suffer from this disease are in need of a dopamine to moderate their bodily movements. The confusion over the two medicines does both ways, with Requip prescribed instead of Risperdal and Risperdal prescribed instead of Requip. Both sets of patients suffer complications as a result. Risperdal mix-ups are the result of poor handwriting on prescription, confusion on the part of any medical or pharmaceutical professional that handles the prescription, similarities in the name/packaging/labels and similar dosage. Though the dosage is similar, accidentally taking dopamine-based drugs are dangerous for those that do not need them, facilitating addiction and other dangerous complications. Many drugs have side effects and many of those side effects are minor. The failure to anticipate for the severe side effects, especially when it reacts within the patient’s body, is grounds for a civil suit. The most service side effect from Risperdal is a stroke, which commonly occurs in those that have dementia. The interaction of the drugs and the brain disorder are likely to make matters worse for the patient and ultimately the doctor has a standard of care to prevent these situations from arising in the first place. What do I do if I believe I have been prescribed Risperdal incorrectly? You must verify that the medication is incorrect with a trusted pharmacist. Once you have definite proof from the expert that you have been given the wrong medication or dosage, you will need to speak with a Risperdal lawyer. These lawyers are experts at dealing with claims related to this and other medications that are wrongfully or incorrectly prescribed. The actions that you take next will need to be discussed with the Risperdal lawyer. You do not want to confront any individual with the false medication or incorrect orders without first speaking with an attorney. Why should I hand over the Risperdal matter to an attorney? When you are given the wrong drug and are injured by it, you are entitled to damages. Risperdal is widely prescribed and generally safe, but only when prescribed properly. Therefore, you will be able to collect compensation, but only if you manage the legal matter carefully, preventing any guilty parties from organizing a defense to your claim and other complications. Any of these factors will contribute to what you can collect in a medical malpractice suit. Note that when filing suit based on Risperdal dosing, you must demonstrate that the side-effect experienced are directly related to the medication rather than your actual condition. The direct correlation between the drug and damage to you must be recognized. In general, very medication has a litany of side effects, but only the most severe, with a direct relationship to the medication, will be considered as the basis of a claim for compensation. If you are misdiagnosed or prescribed medication that is not Risperdal then you are entitled to damages. The compensatory damages will account for short term injuries and medical expenses, as well as the probable wages lost from the inability to work and the cost of insurance. Compensatory damages can be quantified and the Risperdal attorney will help you reach a reasonable figure. As is the case with most medical malpractice suits, you will be seeking pain and suffering damages. Since Risperdal treated mental disorders, the potential to collect these damages is very high and the untreated disorder has surely impacted one’s life. Finding and compensating a Risperdal lawyer for your legal matter. You will conduct your search for a Risperdal attorney by finding the attorney that offers free consultations, gives you a fair case evaluation and will work on contingency. Almost all medical malpractice cases proceed on contingency with the Risperdal attorney being paid only when damages are recovered. You may opt to take a settlement in a Risperdal malpractice case and this is advisable once the attorney agrees that this is a fair compensation offer.